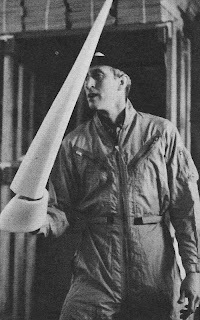 Stewart Brand with a Boffer. These things were foam swords for working out your aggressions. The theory was that violence is instinctive in us, and we could reduce the real thing by playfully ritualizing it. Brand introduced me to a lot of things through the Whole Earth Catalog, and its descendants, including Boffers — which got my thigh seriously chomped by a friend’s dog. More lately, Brand has introduced me to Steven LeBlanc’s archeological history of human violence, Constant Battles. We’re violent when we exceed carrying capacity.